Although Dallas is thousands of miles away from Italy, there are scores of authentic restaurants scattered throughout the city that serve all of the best Italian classics. Dallas boasts upscale Italian restaurants that are perfect for corporate events, wedding rehearsal dinners, and other special outings as well as fast food-style joints that serve up pizza by the slice with a short wait time and a laidback atmosphere. New York-style Italian restaurants, which serve the types of dishes found in New York's Little Italy, also abound. 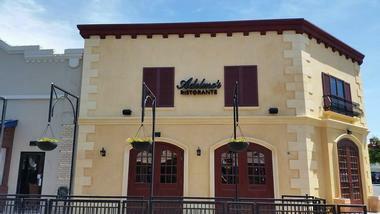 Located in the heart of Dallas, Adelmo's is a fine Italian restaurant that got its start nearly 30 years ago. Its founders, Eliza and Adelmo Banchetti, used elements of their Mediterranean and Italian heritage to create this popular restaurant in 1989. Adelmo's dazzles visitors by using Mediterranean spices and herbs in its signature dishes. All menu items are made fresh to order and can be paired with exquisite wines. Adelmo's Old World feel also accounts for its popularity: Couples and families love the exciting and romantic atmosphere fostered at this high-end restaurant. Saint Rocco's is an authentic Little Italy-style restaurant in Dallas. With its unique blend of American and Italian flavors, Saint Rocco's is a popular option for catering and evenings out with friends or family. Menu items include meats, pastas, fresh Italian appetizers, all kinds of classic pasta dishes, and delicious soups. 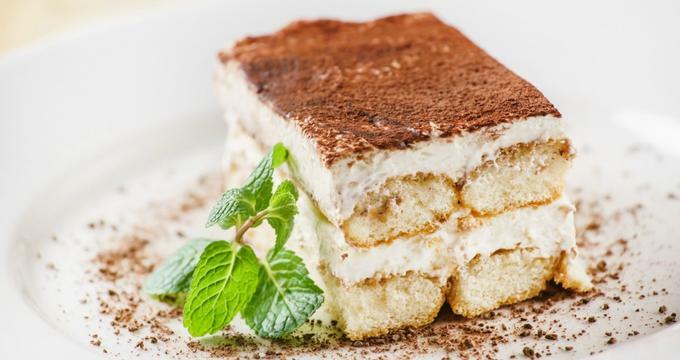 The restaurant also serves scrumptious desserts like ricotta cheesecake, banana pudding, and cannoli. Saint Rocco's has an extensive wine list and a robust catering menu. Visitors can make a reservation online or over the phone for large groups. This high-end restaurant serves authentic Italian dinners, lunches, and fine wines. 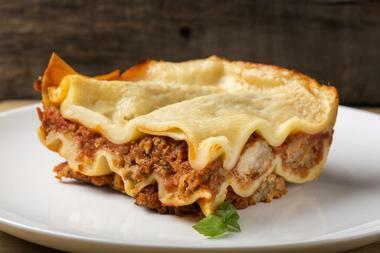 Lasagna, fettuccine, linguine, seafood, soups, and salads are among the restaurant's main menu items. A variety of white wines, red wines, and beers are available alongside this fine cuisine. At the bar guests can order specialty drinks that are mixed by Tony, Bugatti's expert bar tender. The restaurant, which boasts enough seating for 224 people, is also suitable for hosting parties, corporate events, family reunions, and other gatherings. 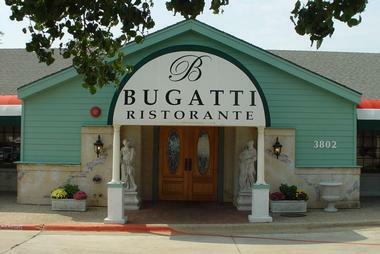 Lastly, the company offers catering options that are a blend of Bugatti's fine cuisine and its exceptional customer service. Known for treating every guest like family, Campisi's runs several restaurants throughout North Texas. 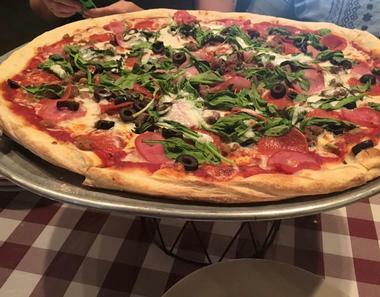 Founded in 1946 by the Campisi family, the restaurant began as a “pizza pie” joint and eventually evolved into a full-fledged Italian eatery. 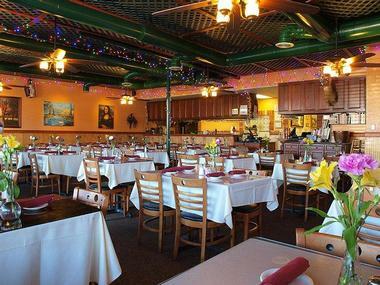 Campisi's offers traditional dining options as well as banquets for large parties. The banquet rooms at Campisi's Dallas locations have seating for 75 to 200 people. The banquet options include access to the buffet, which is filled with classic Italian appetizers, indulgent entrees, sweet desserts, and a variety of wines and beers. Campisi's also sets up beautiful spreads of appetizers, entrees, and drinks for weddings, parties, and business gatherings. As a combination of an Italian restaurant and an Italian grocery store, guests will find all the Italian food that they could wish for at this specialty shop. In the grocery store aisles, visitors will find fresh meats and cheeses, dry goods, honeys and jams, oils and vinegars, and hand-built kitchenware. The restaurant portion of Carbone's serves some lesser-known Italian dishes like creste rigate, hearts of escarole, porchetta hero and more. Each dish is prepared by expert chefs who specialize in Italian cooking. 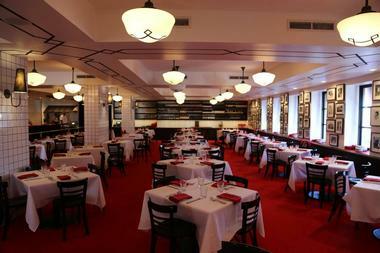 Carbone's also offers brunch items, savory soups, and hand-tossed salads. The restaurant and grocery store are open 7 days a week. This local Italian grocer has been operated by the DiCarlo family for more than 50 years. Since its founding, the store has gone through several challenging periods—in 2004, a fire burned the entire building to the ground. Rebuilt in November 2005, Jimmy's is now a one-stop shop for all things Italian. The store prides itself on having a wide selection of authentic meats, cheeses, baked goods, grains, and herbs. It also has its own restaurant, where guests can order sub sandwiches prepared with fresh Italian ingredients along with tasty salads. For people who can't easily visit Dallas, Jimmy's sells some of its popular products in an online store. Jimmy's also offers free wine tastings every Saturday. 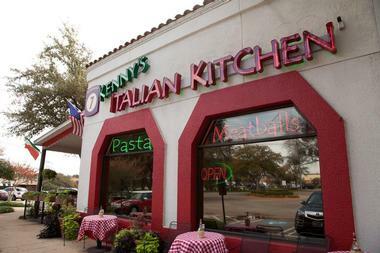 At Kenny's Italian Kitchen, guests can dine on authentic Southern Italian-American food. Modeled after the food found in the Little Italy communities of Boston and New York, Kenny's Italian Kitchen serves up seafood, veal, spaghetti and meatballs, linguine and other common Italian meals. The restaurant has a classic Italian feel with red-checkered tablecloths, dark wood furniture, and black and white photos of family, friends, and restaurant guests. On Sunday nights, Kenny's Italian Kitchen has its Dollar Meatball Madness event, where guests vie to see who can eat the most Italian meatballs. If you want to enjoy some free meatballs, try to beat the record of eating 21 meatballs in one sitting. Located in the trendy Bishop Arts District, Lucia is a small chef-owned Italian restaurant. Its specialties are pasta and handcrafted salumis, which are Italian cold cut sandwiches that are often made with pork. Other items on the menu include foie gras-stuffed prunes, petite oysters with dill, veal tenderloin tartare, and ricotta. For dessert, guests can enjoy freshly made pot rosemary de crème, toasted pain au lait, and lemon tarts with whipped crème. The cozy restaurant contains 14 tables, so it is wise to make a reservation online (or by phone for larger groups) so that your spot is guaranteed. Nonna is a high-end restaurant known for its authentic Italian food. Nestled in the Highland Park neighborhood, Nonna has a seasonal menu that varies depending on the ingredients that are available locally throughout the year. The menu is filled with artisanal salumis, pizzas, and pastas. Many of the dishes are cooked on a large wood-burning stove. Nonna offers a wide selection of wine and desserts, so guests are sure to leave full and satisfied. Visitors can make a reservation online or over the phone. The restaurant is open for dinner Monday to Saturday each week, while lunch is served at Nonna on Fridays. Patrizio is a classy Italian restaurant that serves all kinds of appetizers, main courses, drinks, and desserts. For appetizers, guests can enjoy dishes like skillet-seared mussels, calamari, and bruschetta. Soups, salads, and breads are also served. 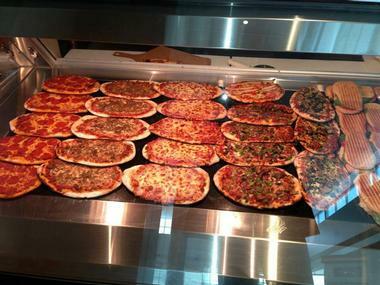 For main courses, there are multiple kinds of pizzas to choose from, along with more than 25 pasta and meat entrees. Patrizio also serves paninis and popular Italian side dishes. The restaurant itself is decorated like a museum, with plush leather chairs, dark wood tables, and beautiful paintings. 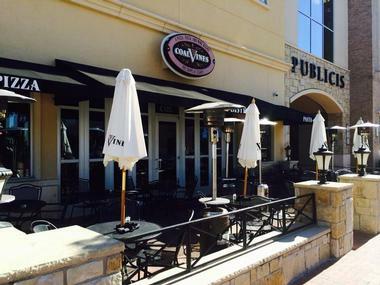 Patrizio has restaurants in Highland Village as well as Uptown in Dallas. 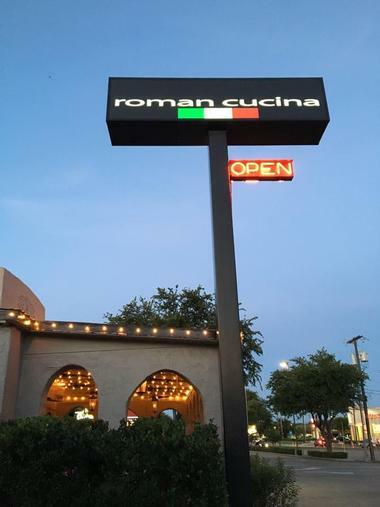 In business since 2001, Roman Cucina is a family-friendly restaurant that serves traditional Italian dishes. Appetizers, salads and soups, pastas, meat dishes, lasagnas, sandwiches, and desserts are among the many menu items at Roman Cucina. As a family-run restaurant, many of Roman Cucina's dishes are based on homecooked favorites. The restaurant also caters for large groups, and the Allen, Texas, location has a banquet room for parties and special get-togethers. Visitors can make reservations by calling or emailing the restaurant in advance. For take-out “party pans,” customers need to order 48 hours ahead of time. In Italian, the term taverna refers to a special place where people quickly become friends. The Taverna restaurant in Dallas is no different. With a focus on farm-to-table cooking and Italian hospitality, Taverna is known for its award-winning brunch and its flagship dish, risotto. Taverna's risotto is part of several popular dishes at the restaurant. The risotto at Taverna is made with exquisite carnaroli rice, a grain that is known as “the king of rice” because of its firm and succulent texture. Taverna has an extensive brunch, lunch, dinner, drink, and dessert menu. 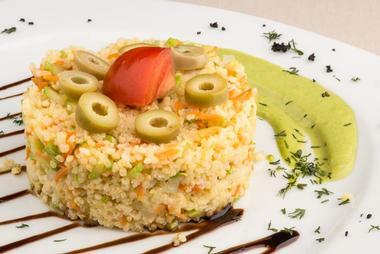 Taverna also delivers in the areas surrounding its five restaurants. Terilli's is owned and operated by Jeannie Terilli, a Dallas local who spent more than 15 years working in the restaurant industry before going into landscaping. For a while, she debated with herself about whether she ought to make a return to the food industry. A coin toss ultimately decided her fate, and now Terilli's is a popular food and music venue in Dallas. Unexpectedly, nachos became one of the most popular items on Terilli's Italian menu. She gave the nachos an Italian twist, so now they're known as “Italchos”. 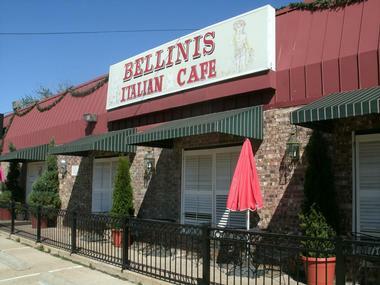 Guests can dine on fine Italian food at Terilli's while enjoying live music every night. 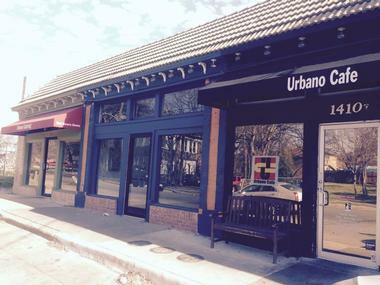 Urbano Cafe is an Italian/American eatery that sits next to the Urban Goods pop-up shop. Urbano Cafe has a long menu packed with delicious soups, salads, entrees, sandwiches, appetizers, and drinks. 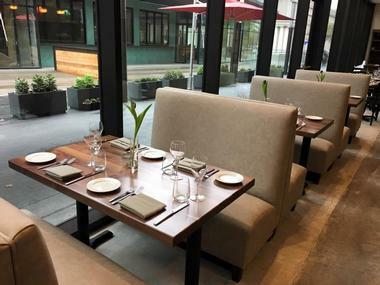 From time to time, Urbano holds special events in its spacious outdoor dining space. Urbano Cafe also oversees Two Doors Down, a second dining area where visitors can enjoy all of the items on the Urbano Cafe menu along with glasses or bottles of beer and wine. Guests can also bring their own beer if they order dinner at Two Doors Down. Urbano Cafe is open for lunch from 11:00am to 3:00pm and serves dinner from 5:00pm to 10:00pm. Reservations can be made over the phone. Aboca's Italian Grill is a family-run restaurant that prides itself on making all-natural meals. Known for its festive and family-friendly atmosphere, Aboca's serves lunch and dinner throughout the week. Aboca's offers Italian classics such as pizza, salads, and pasta alongside sandwiches, seafood plates, and more. The restaurant has a take-out menu as well as catering options for events large and small. There is also an onsite special events room that can be used for large get-togethers. Aboca's is open Monday to Saturday from 10:00am to 10:00pm and Sundays from 11:00am to 8:00pm. Amore is patterned after the authentic Italian restaurants found in New York's Little Italy community. Established in 1983, Amore is a casual restaurant that can hold around 70 guests at a time in its main dining room. Traditional Italian and American foods are available on the menu, along with other selections. Amore serves breakfast, lunch, dinner, and drinks. Amore also has a robust catering service that can deliver up to 2,000 meals at one time for special functions. The restaurant is open 7 days a week, and its hours vary by day. 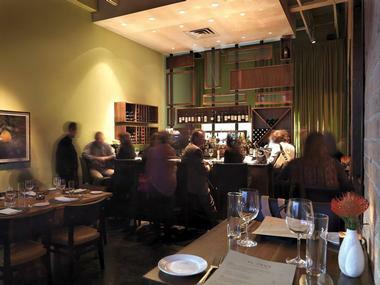 Avanti is an upscale Italian restaurant located in the Uptown area of Dallas. Its popular appetizers include an Italian version of ceviche, savory stuffed mushrooms, snow crab claws, hummus, and calamari. The entrees at Avanti are common Italian dishes with a twist: a filet mignon sandwich, veal meat balls, grilled salmon, and more. Avanti also has an extensive wine list and a dinner menu with all kind of delicious options. For private parties, Avanti has a patio area that can host up to 40 guests in a quiet and intimate setting. Special events can be scheduled between Sundays and Thursdays. Coal Vines prides itself on having the best pizza in all of Texas. 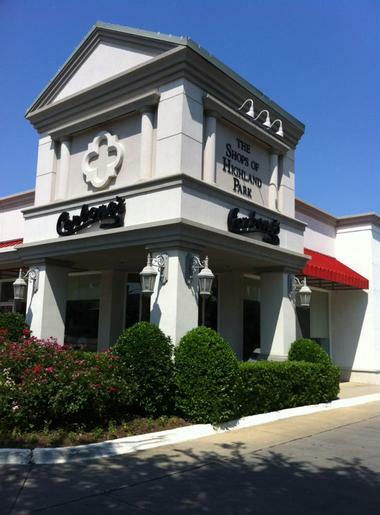 Known for its lively atmosphere, Coal Vines has a long menu with soups, salads, appetizers, and entrees. For pizzas, guests can choose from all kinds of unique toppings, including brisket, spicy meatball, BBQ chicken, and various cheeses. Visitors can also select from some classic Italian dishes like chicken parmesan, chicken Florentine, and baked eggplant. Coal Vines also delivers via DoorDash, so locals don't even need to leave their homes to enjoy Coal Vines' authentic Italian food and pizzas. Cremona Bistro is located in Uptown in Dallas. Known for its fresh Italian food, the bistro has been serving delicious Italian classics since 1977. Lunch and dinner menu items include calamari, pizzas, calzones, stromboli, paninis, spaghetti, linguine, risotto, and more, while a large variety of fresh salads and soups are served as side dishes. 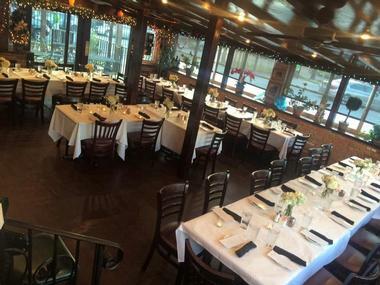 Cremona also has large event rooms that can be rented out for family get-togethers, rehearsal dinners, business events, and other special meetings. The stylish and intimate event rooms at the bistro can be reserved over the phone. Dante's serves tasty Italian entrees and side dishes all throughout the day. 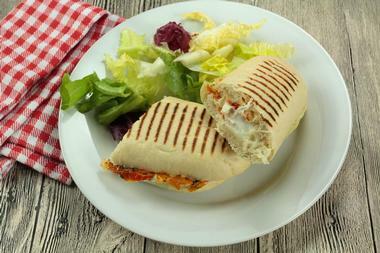 Pizzas, sandwiches, and pastas make up the core of its menu offerings. This eatery serves pizza by the slice, which makes it a popular stop for people who need a quick bite to eat. Dante's also has a “build your own pizza” option for guests who want to create the perfect meal for themselves. 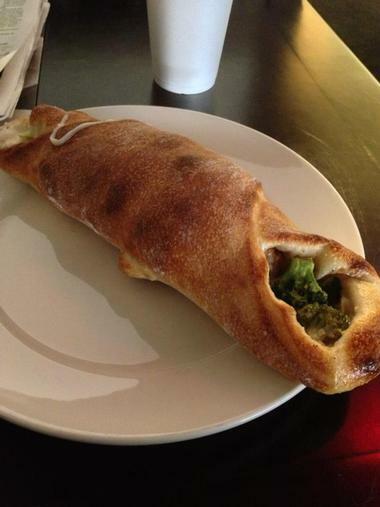 The eatery also serves popular stuffed pizzas that have crusts packed with meat, cheese, and other savory ingredients. Visitors can conveniently order their favorite Dante's dishes online. The Mangiamo family created their restaurant to share their passion and talent for Italian cooking. Known for its Old World charm, Mangiamo's dishes are inspired by the Little Italy section of the Bronx in New York City, which even to this day teems with traditional delis, upscale restaurants, food stalls, and everything in between. Mangiamo serves classic appetizers, flavorful salads, savory pastas, and delicious meat dishes. The menu also features all kinds of tasty pizzas and desserts. The dinner menu features the same savory lunch foods along with a wider selection of classic Italian entrees. MoMo Italian Kitchen recently celebrated its 30th year in business. MoMo's got its start toward the end of World War II when several family members resurrected the food magazine La Cucina Italiana. For better part of two and half decades, the magazine had no competition. 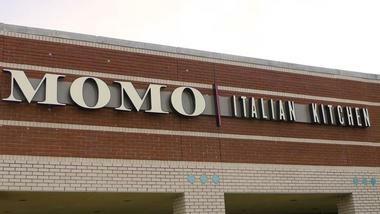 In 1985, the father of the family moved to Dallas and sold his family farm in Tuscany in order to open up MoMo Italian Kitchen. Today, the popular restaurant serves all kinds of delectable Italian dishes in a comfortable and intimate atmosphere. 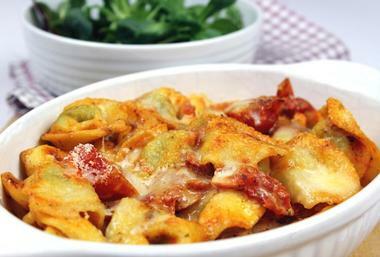 The restaurant serves pastas, pizzas, meats, desserts, and all kinds of other Italian specialties. 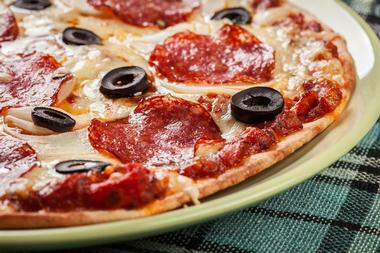 Roma's Pizza and Italian Restaurant serves all types of classic Italian dishes. Known for its fun atmosphere, the restaurant has a daily happy hour, a lunch special, and the resources to cater for office parties, family functions, and other special get-togethers. The restaurant also has take-out options for people who want to enjoy Roma's delicious food without having to leave home. Menu items include pizzas, pastas, salads, soups, sub sandwiches, desserts, and drinks. The restaurant is open every day of the week except Mondays. Known for its high quality food and excellent service, Verona Italian Restaurant has a long menu filled with classic Italian favorites. There are all kinds of appetizers, fresh soups and salads, pizzas, homemade pastas, chicken and veal entrees, seafood plates, and side dishes to choose from. At lunch, the restaurant serves hot sub sandwiches, cold sub sandwiches, pastas, and house specialty dishes. Reservations can be made online or over the phone, and if guests order food online they can pick it up directly with no wait. Verona is open Tuesdays through Sundays and closed on Mondays.